Kate Cooper is an Assistant Professor in the School of Interdisciplinary Informatics at the University of Nebraska at Omaha. Kate received her PhD in Pathology and Microbiology from the University of Nebraska at Medical Center in 2013. Her background lies firmly in bioinformatics and she specializes in the identification of actionable hypotheses using network-based analysis of genomic and proteomic “big” data. 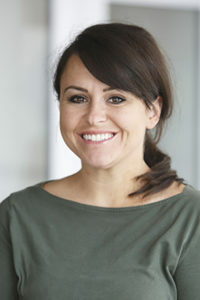 Other interests include investigation and Review of Standards for reproducible, reliable, and robust network analysis in bioinformatics, as well as cultivation of activities for exposure to bioinformatics through STEM education for K-12 students.Kate has been a member of the UNO Bioinformatics research group since 2005 and has found success collaborating on a number of disease-related biomedical research projects including but not limited to aging, HIV/AIDs, epidemiological network modeling, and high performance computing in biomedical informatics.